similarities (Figure 10.3), due largely to the abundance of cyprinids in both, and comparable species in the Esocidae, Cottidae, and Gasteros-teidae (Mahon 1984). There also are prominent differences, including the diversity in North America of Centrarchidae and Ictaluridae, and radiation within the genera Notropis and Etheos-toma. 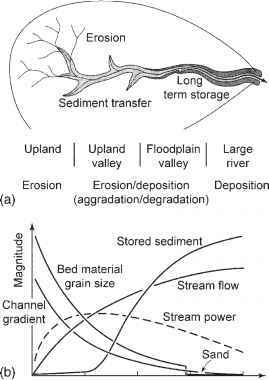 The Grand River drainage contains more species overall, especially in smaller streams. In addition, more species in the Grand River are specialized stream dwellers, whereas the Nida includes a greater proportion of large species that are only occasional stream dwellers. Explanations for such differences always are speculative. Mahon (1984) suggests that the success of the lentic specialists (Centrarchidae and possibly Ictaluridae) in North America closed out the migratory option typical of the larger cyprinids of Europe, and favored species that formed resident populations in small streams. This may help to explain the greater North American diversity of smaller species. Geographic diversity patterns in the Ephemer-optera, Plecoptera, and Trichoptera, the best studied of the macroinvertebrates found in streams, differ among biogeographic realms based on an analysis of genus-level local diversity from 495 locales around the world (Vinson and Hawkins 2003). Ephemeroptera richness was highest in the Africotropical realm and lowest in the Antarctic (New Zealand) realm, Plecoptera richness was highest in the Nearctic realm, and Trichoptera richness was highest in the Australian realm and lowest in the Africotropical realm. Given that the initial evolution of these taxa occurred prior to the splitting of the Pan-gean supercontinent, such disparate patterns among aquatic insects suggest either different centers of radiation or differential success in surviving subsequent environmental changes. In any case, these patterns provide important context when comparing studies of stream assemblages carried out in different biogeo-graphic realms with potentially very different regional species pools.